A levels or Foundation course? 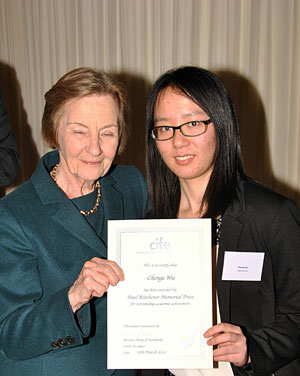 Chenge Wu (Ada), seen here with CIFE President Pauline Perry, won the Paul Kitchener Memorial Award. Ada enrolled at Bath Academy coming from China and quickly established a reputation as a serious and highly focussed student. She showed herself to be a mathematician of outstanding ability, successfully demonstrating an excellent understanding of core mathematical principles by working her way through complex theorem, willing to help others in class and demonstrating alternative methods to solving problems. Having achieved 100% in the Core Mathematics module (at AS Level standard), she then achieved 81% in the Pure Mathematics course. She scored grade A in every unit of the University Foundation Programme and, having turned down the offer of a place at Durham University, she is currently studying Accounting and Finance at Bristol University. 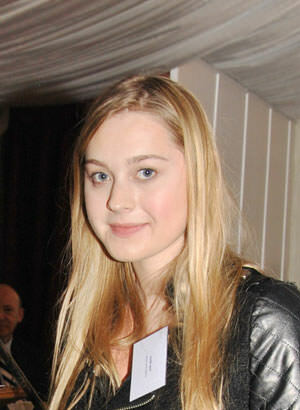 Hope Moon (pictured right) won a CIFE college prize for all round contribution to college life. Hope received most of her secondary education at St Mary’s Calne, gaining a very creditable set of GCSEs before starting her AS Levels. After the first year of sixth form she went up to London to complete her A Levels at a new tutorial college – Bright Young Things, which she found very stimulating. Needing to turn her renewed interest in History into grades, she came to Bath Academy in January 2012 and with great determination drove her grade C up to an A* in five months. She ultimately achieved A levels of A*A*A and is currently reading English Literature at Kings College London.